Filmmaker Anne Lewis’ new website is called Austin Beloved Community. 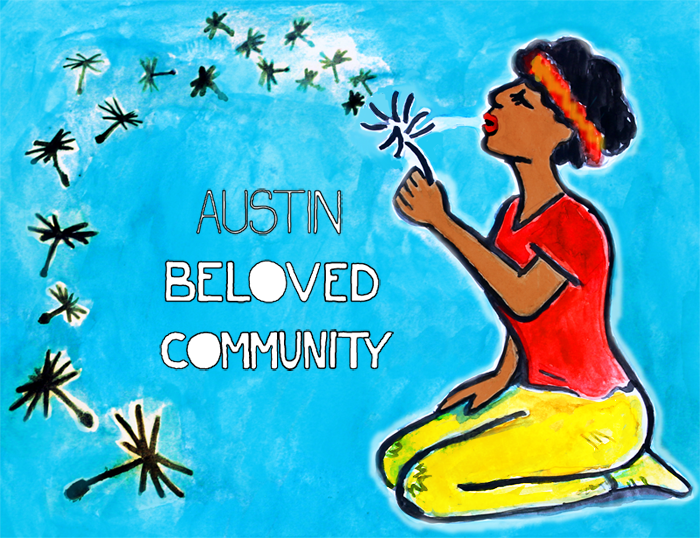 Austin Beloved Community is a gift. Movement history comes alive in a digital collage of collective memory — audio, film, photos and maps, and a rich diversity of local recollection. As an executive board member of the Texas State Employees Union (TSEU-CWA 6186), she is at the forefront of a current struggle against the University’s plan to downsize, consolidate, and outsource jobs — a plan that would further corporatize the academic community. 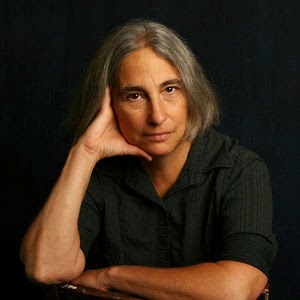 I interviewed Anne Lewis about her recently launched website — what she calls “a journey through time and memory.” Lewis, who also is a contributor to The Rag Blog, describes the site as “a shared space between organizations, artists, and all who hold close ideas of liberation, equality, and just society.” She reaches back to the 1880s and takes you forward to the present. She even includes a Google map that pinpoints where events occurred and organizations were born. Anne Lewis: Jim [Branson] and I were living in Whitesburg, Kentucky (1,499 people and one grouch) and had a young son. 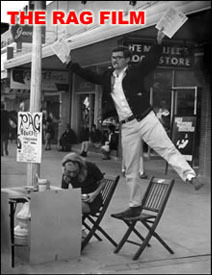 The Texas State Employees Union wanted Jim to come to work as an organizer for the union. I had been [producing films] with Appalshop for 15 years. I could bring my work with me, and the idea of a change seemed good. We were typical Appalachian migrants — jobs, school, city life — and we moved as much of our family here as we could, but if we could have gone back every weekend, we would have. You cover a lot of hidden history — African Americans, Chicanos, women, the LGBTQ community, labor organizers. How did you get so much input? This was designed as cooperative and experimental. It’s really a community organizing art project. The project began by picking the kind of folks you name — their organizations — and asking each to contribute five uprisings or victories in Austin that mattered to them. We added a number of individuals. People and organizations are on the about page. That meant that we got everything from Homer the Homeless Goose to Mooning the Klan to convict labor at the Capitol and Lady LULAC. I deliberately put priority on African American, Chicano, Women, LGBTQ, working class organizations — and made rules for myself like no national organizations unless the Austin chapter was strong and independent, no group on campus, no political groups, no primarily service organizations. I managed to keep myself non-judgmental on events. Anything that was a people’s uprising or victory went on the map. Also I decided not to even try to build a database. I wanted it to be subjective, quirky, open-minded, and fun. Your work has been with film — as director, producer, cameraperson and teacher. What prompted you to create a website? Well I’m not much of a cameraperson but the rest hold. I hate websites — all those little boxes and all those tabs inside of tabs. I don’t like the idea of clicking as interactivity and I don’t really enjoy choosing my own adventure. Huge qualities of factual information leave me cold and anxious. But on the other hand I knew a wonderful visual artist, Jeanne Stern, and wanted to work with Tom Hammond’s style of tonal shifts of wind for sound design. I also wanted to bring Anne Braden’s ideas to Austin without driving myself crazy trying to market the film and make people show it. The City of Austin helped fund the Anne Braden film, and helped fund this project as well. So in many ways the start was an animation film idea with social justice events over time as folks remembered them and a tie to Anne Braden’s ideas. The rest developed from the process of arriving at content — organizations and mapped events, still photographs, a calendar to give back. It is already. It’s strange to say this but I want to hear from people about what I left out and what needs correcting. It’s fun doing it. The movement history is still growing. All I need is date, place, event, and a paragraph or link and it can go up. The organizational map is similar. The calendar of events is current. People need to send their events to me though — especially the strange stuff that goes on here. The stars on the organizations are still slowly lighting up. Resistencia and PODER are the only ones on right now. Then there’s a Facebook page. 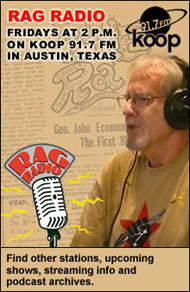 Listen to Thorne Dreyer’s February 22, 2013, Rag Radio interview with documentary filmmaker Anne Lewis. 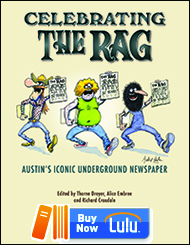 This entry was posted in RagBlog and tagged Alice Embree, Anne Lewis, Austin Beloved Community, Austin History, Filmmakers, Interview, Movement History, Rag Bloggers, Websites. Bookmark the permalink. Yay — this is a wonderful, wonderful, website; everyone should visit it. Many thanks to Anne Lewis for this labor of love! Wonderful — I am indeed full of wonder and appreciation for this article and the new site with such insight into history in Austin ! I will try to add material virtually, and sure urge others to add to the history also. Trying to spread awareness of Austin Beloved Community around. Posting articles & announcements on email lists and on Facebook. This is a terrific resource–and visually delightful. 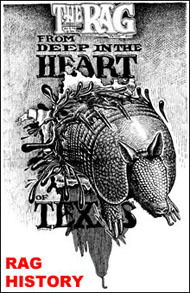 Also emotional for those of us who were experienced the history of so many events and maybe were involved in them–and many of you were around Austin for decades before I was!